Two people are dead after a horror crash between a lorry and a car on a main road between Linlithgow and Bo’ness. The incident on the A904 close to Champany happened at around 3.40pm yesterday afternoon. Emergency services raced to the scene. Initial reports said two people had been taken to hospital with serious injuries. 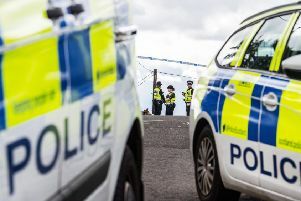 However, yesterday evening police in Falkirk confirmed that two people had died.